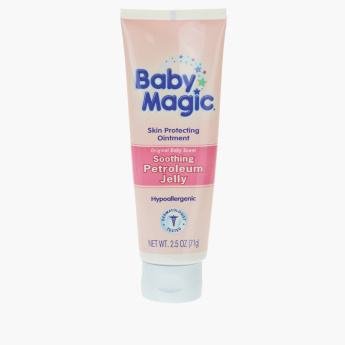 Baby Magic Soothing Petroleum Jelly | Multicolour | Hypoallergenic . Provides all-day moisture .For external use only. Kepp out of reach of children. Pick this organic moisturiser for your little one as it provides all-day moisture to your baby skin. Enriched with vitamins and shea butter, it assures to soften your baby's delicate skin. Feature 1 : Hypoallergenic . Provides all-day moisture .For external use only. Kepp out of reach of children. Feature 3 : The Original Baby Scent is the one you remember, trusted by moms for generations . 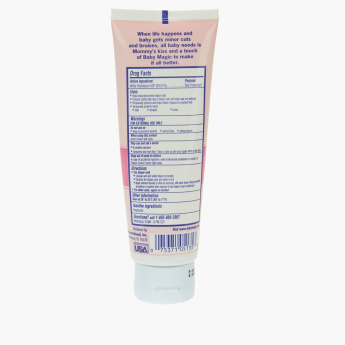 Feature 2 : Enriched with vitamins and Shea Butter to help soften baby�s delicate skin.